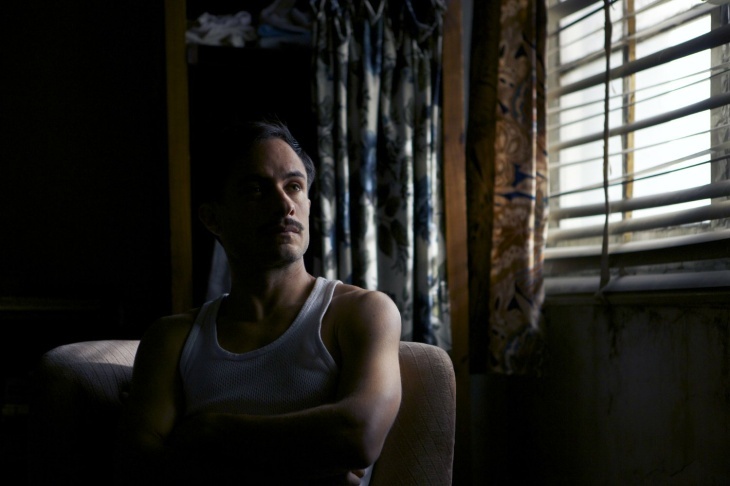 Gael García Bernal plays a detective on the hunt for Chilean poet Pablo Neruda in "Neruda." 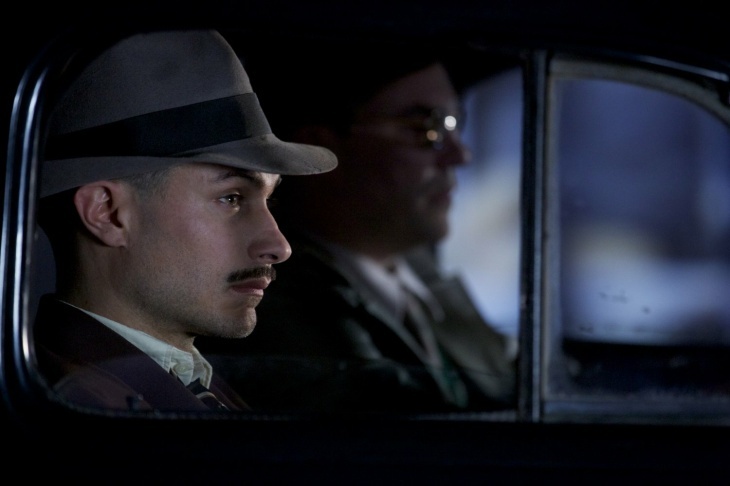 Gael García Bernal and Diego Muñoz in "Neruda." Mexican actor and filmmaker Gael García Bernal recently joined us in The Frame's studio to discuss his latest movie, "Neruda." 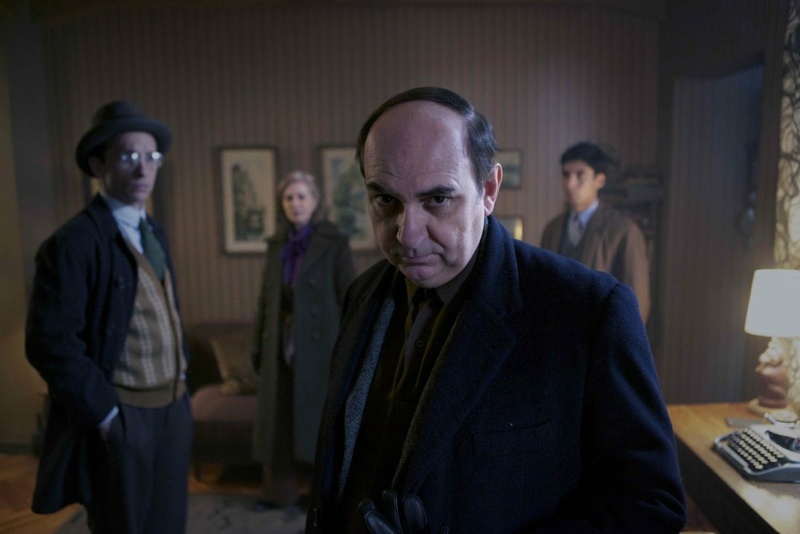 Bernal plays a detective tasked with arresting Pablo Neruda, the poet who was wanted by the Chilean government for joining the outlawed Communist party. 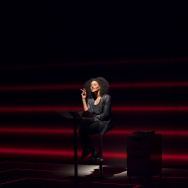 But the conversation soon veered to the U.S. elections, his previous film, "Desierto," migration, politics and poetry. But Bernal is not only interested in making narrative film and television. (He stars in Amazon's "Mozart in the Jungle.") He’s a champion of documentary films and, with fellow actor Diego Luna, he founded the traveling documentary film festival known as Ambulante. When Bernal joined us at The Frame, he started by talking about how he was introduced to Neruda in high school. Neruda definitely is like a pillar of the 20th Century. He was a man of his time as well. Like many intellectuals and illustrated people in those days, they were participants in the political movements that were going on after the second World War. He was a Communist senator. He just had a really prolific career. Luis Gnecco, left, and Michael Silva in "Neruda." On telling stories about the border and being a migrant. If you're talking about people being able to become something for themselves: the character in "Desierto," Moises, already has a life in the United States and he's coming back home in a way — a life that he invented for himself. Pablo Neruda is escaping Chile with sadness, but also with the joy of becoming someone — becoming the multitude of someone that he can be. The power of crossing a line in a sense, at least on that administrative space of mind — to change things, to change yourself. I've gotta say, I've been a migrant a lot. I've been traveling a lot, living in different countries and changing things. Right now I live in Mexico, and I still feel like being "the other" is an interesting way of seeing things. We don't see the reality, which is that we are so interdependent between Mexico and the United States. We're neighbors. We've established ourselves to live along this area and culturally we are so ... let alone interdependent, so mixed in a way that it's important to just accept it for once and for all and to not talk about it in Cold War terms as if Fidel [Castro] was alive! Let's stop that. Let's just stop talking about it as if there was this huge divide that exists between people. Obviously, if we talk about that horrendous concept of a wall, undoubtedly it is the least practical thing that can ever exist nowadays, for many reasons. 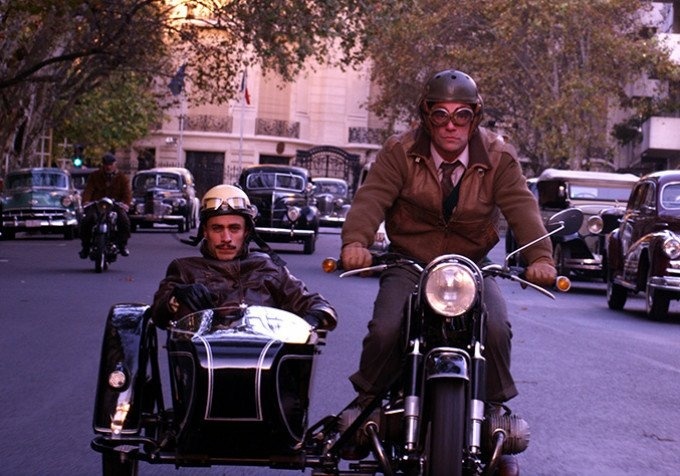 Gael García Bernal, left, and Diego Muñoz in "Neruda." 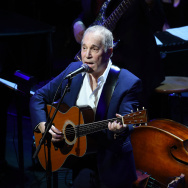 With "Neruda," we're not doing his [biography]. We're doing something about his work. His work is his life. What one leaves in the world is your work and, in this sense, Neruda described the country, built mountains, built forests. Whenever you are in the south of Chile, you think you are inside a Neruda poem. Neruda lived a multiplicity of lives within one life, defended ambiguity, had very strong convictions politically. He's a person [who] inspires that, so let's do stories of them and of "simplicity" as well. It is a moment to not feel despair, but to feel empowered because we can really change things. I know it might sound slightly naive — we want the immediate result whenever there's a film: What is the quantifiable social change that this film [made]? Well, it's never going to be quantifiable. It's in the long run, in a way. But those are the stronger victories. Those are the things that actually change everything. Can less credible film awards sway Oscar voters?